TAG Heuer raises its profile in International Football: this new partnership in France complements those already signed with the English Premier League and Manchester United, the German Bundesliga, the Spanish La Liga, American Major League Soccer (MLS), the Australian national team (Caltex Socceroos), the Asian Football Confederation (AFC), the Chinese Super League, the Japanese J-League and, more recently, the International Champions Cup in the USA. 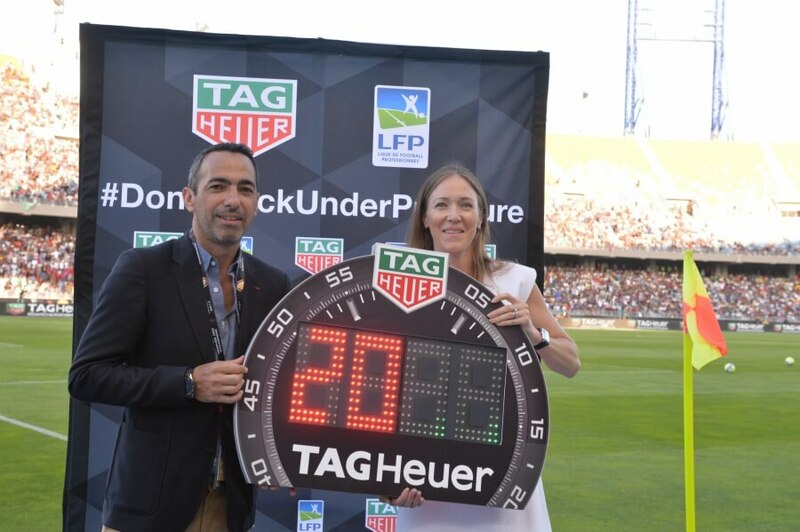 Tangier, Morocco, 29th July 2017 – TAG Heuer and the French Professional Football League (LFP) announce their partnership at the Champions Trophy match between AS Monaco and PSG. The Swiss watchmaker confirms its presence in International Football with its appointment as Official Timekeeper and Official Watch for all competitions organised by the French league. A unique partnership which will see TAG Heuer's name associated with the Ligue 1 Conforama, the Coupe de la Ligue (French League Cup) and the Trophée des Champions (Champions Trophy). A major sport in France, the LFP will offer the brand considerable media clout by linking it to all the major competitions, which will be televised on the Canal+ and beIN Sports group channels. 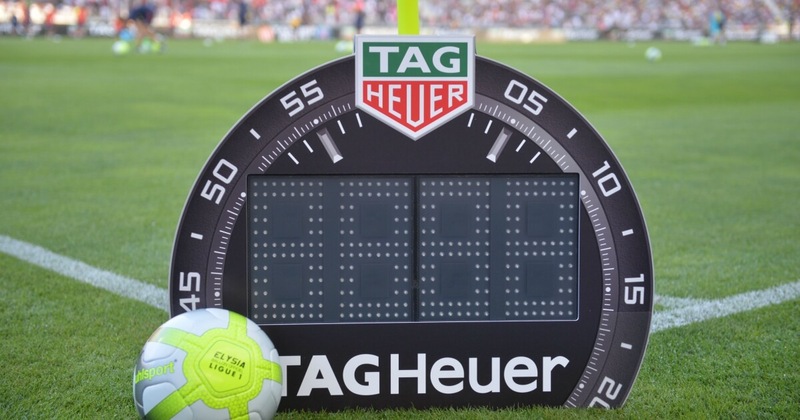 The fourth official's board now bears the TAG Heuer logo. Jean-Claude Biver, CEO of TAG Heuer and Chairman of the Watch Division of LVMH Group, said: "Football brings together all generations and all social categories, and is a tremendous medium for conveying the values we share with this sport: passion, team spirit, emotion and perseverance. I feel this partnership is a very fitting way for us to be represented in France." 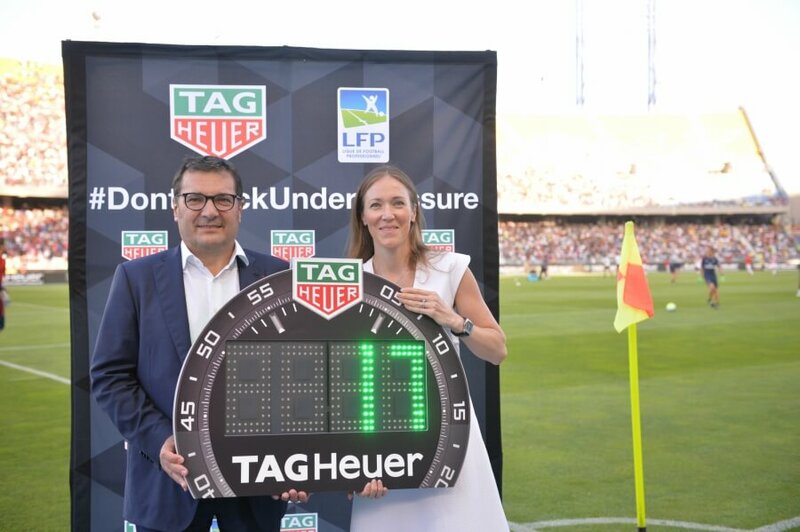 Didier Quillot, CEO of the LFP, adds: "We are delighted that this agreement between the LFP and TAG Heuer is now official. 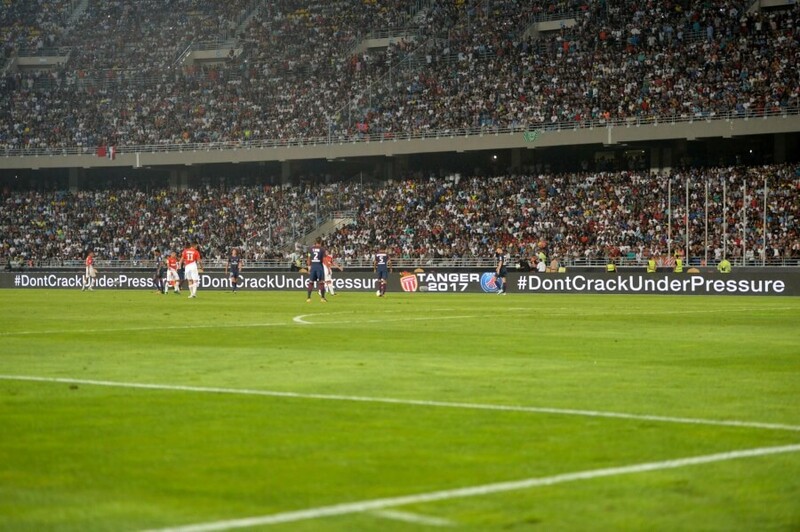 Like other major European leagues, the LFP has partnered with a major advertiser, which will benefit from the visibility of the Ligue 1 Conforama." TAG Heuer has always offered technical expertise dedicated to sporting performance, with a desire to continuously push the limits of time measurement. Whether it be Formula 1, football, or eight major international Marathons, the TAG Heuer brand has one of the highest profiles in sports timekeeping.